Osaka may not have the old-town retro feel that nearby Kyoto boasts, but this coastal city compensates with a host of activities. This makes it ideal for younger visitors. It’s also a simple city to navigate, with excellent train and bus links. 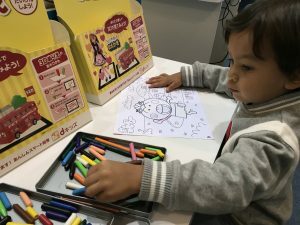 Here are our top 10 things for children to do in Osaka. Given the country’s fascination with the fantastical, it’s no surprise that Harry Potter takes centre stage here. The gigantic Hogwarts School would be an attraction on its own, but here it’s part of the town of Hogsmeade, which features the Hogwarts Express steam train, choir (‘double, double, toil and trouble’ is a regular refrain) and more shops than you can wave a wand at. The highlight is Harry Potter and the Forbidden Journey (voted top ride in the world for 5 consecutive years). This 5-minute ride swirls you around 360 degrees as you come face to face with Dementors, take part in a game of Quidditch and feel the heat of a dragon’s breath. Beyond Potter, there’s the world’s largest collection of Minions, and Minion merchandise, Jaws boat ride, Jurassic Park rollercoaster and an impressive Spiderman ride. Getting there: Head to Universal City Station on the JR Yumesaki Line. A ferry costing 700 yen one-way also leaves from near Osaka Aquarium Kaiyukan. Cost: 7,900/5,400 yen for an adult/child (aged 4-11) one-day pass. It’s 500 yen cheaper if you arrive after 3pm. The park closes at 7.30pm so you’d need to be choosy over your rides. 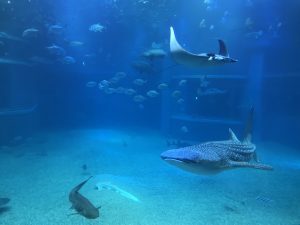 The seals, dolphins and turtles that call this home are all worth a look, but it’s the two enormous whale sharks that are this aquarium’s signature attraction. Taking up residence in a 34m x 9m tank that’s also home to hammerhead sharks, rays and hundreds of fish, they really are quite a sight. Cleverly designed so you start on the 8th floor with terrestrial animals, visitors then take a spiralling route downwards and into the depths of the Pacific Rim. The 15 large tanks with 30cm-thick acrylic walls represent different parts of the Pacific, from Antarctica, the Japanese Forest and the Pacific Ocean itself. Whale sharks are fed twice daily – stick around to see them gulp down gallons of water and tiny marine life. Younger visitors will appreciate the whale shark ice-cream and the new touch pools where you can ‘stroke’ sharks and rays as they drift by. Audio guides in various languages can be rented for 500 yen. Getting there: Take bus 60 from central Osaka. The 210 yen baht ride takes 40 minutes. Get off by the giant ferris wheel. Cost: 2,300/1,200/600 yen/free for over 16s/7-15 years/4-6/under 4. Whacking drums, making giant bubbles and sliding down a tube are all part of the fun here. You can kid yourself it’s for the children if you like. Things kick off on the 5th floor with science-based attractions where children can prod, press and feel their way to various discoveries. A floor below there’s a ‘Kids Town’ with suspension bridges, mazes and curved walls to explore while on the 3rd floor a range of touch screens allow children are brilliantly innovative. Designers also installed plenty of rest areas for parents, as there’s so much to do you’ll need to build in some breaks! 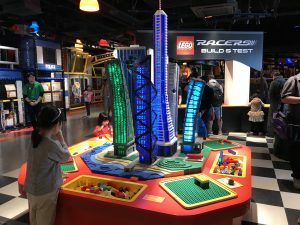 As well as your standard ‘build stuff with bricks’, there’s also a 4D cinema, Kingdom Quest ride where you shoot skeletons in a bid to rescue a princess and the Japan-themed Miniland, replete with more than 1 million Lego bricks. Situated next to the aquarium, it’s an ideal retreat on rainy days or when the children just want to let off steam and run around. Legoland is designed in various small zones to allow children to build trains, farms or design their own kitchens. Rather brilliantly, they also have special adult-only evenings where you can go and build the Eiffel Tower or Taj Mahal from scratch. Getting there: Same as for the aquarium. Bus 60 takes you here for 210 baht. Cost: 2,300 for adults/3,200 yen for 1 adult and 1 child aged 3-6. 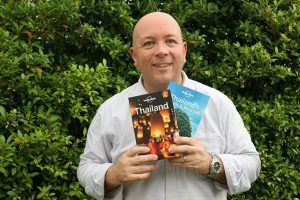 Cheaper if you book online in advance. The first castle on this site appeared around 1583. Various versions of the castle have been needed due to lightning strikes, fighting, or bombing during WWII. Today the castle sits atop a hill, surrounded by lush grounds that are worth strolling around. Come during April and you may be fortunate enough to see the cherry blossom, or sakura. Exhibitions are changed regularly but tend to feature artifacts from the Toyotomi and Sengoku eras. 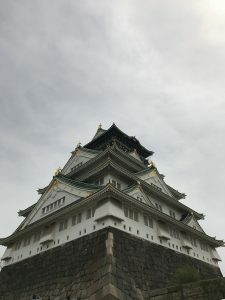 The displays are mainly in Japanese and a bit dry for younger visitors, but the chance to take a photo wearing Samurai battle dress and a boat ride around the moat will satisfy most youngsters. Getting there: The Morinomiya station on the JR Osaka loop line gets you close to the entrance, from where you can take a shuttle bus up to the castle, or walk. Touted as one of the world’s largest Ferris wheels, this is quite a sight (especially at night when it’s illuminated). Queuing is usually brisk and, once at the entrance, you can choose from a cabin with a transparent floor or a regular one. Once going round and you’re up to its max height of 110 metres, look out for 360-degree views of Osaka Bay, Kansai International Airport and a glimpse of Universal Studios. Once your ride is over, be sure to head into the neighbouring mall where there’s a small children’s zoo featuring stroke-able cats, dogs and a kangaroo. If you do visit at night, the illuminated colours provide a weather forecast for the following day (red equals sun, blue equals rain). The world’s biggest wheel is currently another 50 metres higher and in Las Vegas, in case you were wondering. Getting there: Bus 60 from central Osaka (210 yen) lands you right at the wheel’s entrance. Another of the bay’s attractions is this mock-up of Columbus’ ship. It runs regular trips around the Bay, though youngsters will probably more interested in the rigging and cannons – and the black ice cream on sale. Open: Starting at 11am and then hourly. Getting there: Bus 60 from central Osaka lands you at the giant Ferris wheel. The Santa Maria can be found to the right of the aquarium. These are the best way to see the enormous shopfronts that feature everything from giant crab legs to dragons. One even has its own inbuilt Ferris wheel. Guiding our tour was a lady in her 60s who wore a safari suit and pith helmet for no obvious reason. She infused our 20-minute trip up and down the waterway by attempting to get us to repeat local phrases and chants. She treated every half-hearted and probably totally inaccurate response with gusto, bowing deeply and offering us a thumbs-up in a ‘thanks for playing’ kind of way. As we approached the lowest bridge, she warned us all not to stand. She demonstrated this by knocking her helmet with her knuckles and imitating the sound of an ambulance. We all duly pretended to duck down as we passed under, though in truth an NBA star at full stretch wouldn’t have been in any real peril. An entertaining short trip with plenty to see. Getting there: Take the tube to Namba station; it’s a 20-minute walk from there. There are tons of interactive displays to get involved with here. Mostly everything is in Japanese though, so look forward to answering lots of ‘why?’ questions. It can get busy so you may have to wait your turn to become an engineer or chemist. Down in the basement is where you look up at the stars during a 45-minute planetarium show (no English). The National Museum of Art is next door, making this trip more appealing. Getting there: Head to Watanabebashi station on the Keihan Nakanoshima line. Cost: Planetarium 600/450/300 yen adult/high school or uni student/ 3 or over. Exhibition 400/300/free, adult, high school or uni student/younger children. So much more than just a spa, this is like a journey through the world’s baths. Choose from saunas from around the globe, European or Asian-style baths and, especially for children, an amusement park complete with slides (for those over 115 cms tall). Kitsch and crazy but quite fun for a few hours. Getting there: The spa is close to Dobutsuen-Mae Station or on the JR line, get off at Shin-Imamiya station. Cost: 2,400/1,300 yen, adult/children under 12. All day passes are 2,700/1,500 yen, respectively.